Our nearest airport is Guatemala City. 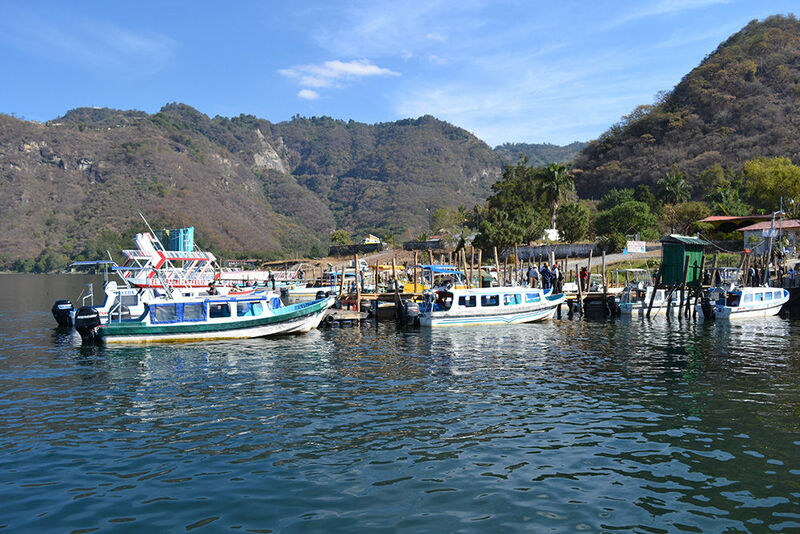 From here you travel to Panajachel (the larger and more accessible town on the lake). Lake travel is by boat (public and private available) here you have two options for arriving at the hotel. If you would like to arrive at the hotel dock you can ring the intercom for a porter who will meet you and assist with any luggage up the 350 steps to the hotel. If you are unable to manage the steps, then you can arrive at the public Tzununá dock where you will find tuk tuks to bring you to the hotel for Q10-15. It is not possible to drive to us. If you want to drive to Tzununá we recommend that only those with suitable 4x4 vehicles do as the road from Santa Clara is in poor condition. There is secure parking in Tzununá where tuk tuks will bring you directly to our hotel.